It’s very easy to carry around. It weighs just 40 lbs .the build quality is very high. 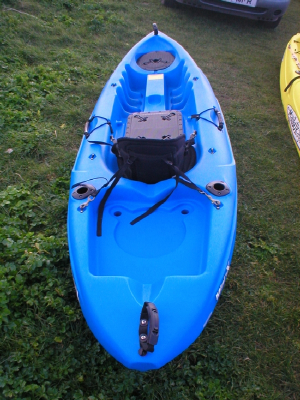 as you can see from the photos it is a very well set up kayak with hatches . Both have liners the front round one has a plastic bucket in it and the square one has a vinyl bag in it both are removable. 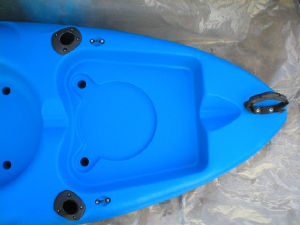 The hatches are very easy to open and close . Despite the fact the mini –x is only 9ft long there is plenty of leg room. 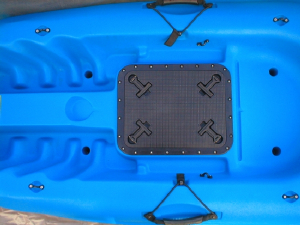 It’s a very comfortable seating arrangement and all necessary ancillaries are within easy reach it is a very roomy kayak there is plenty of space to kit it out notice the large centre flat area perfect for mounting fish finders and gps systems on . 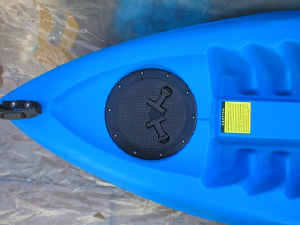 The paddle keepers are in a recess so they don’t catch your legs. The rear tank well is big enough for a crate in fact it’s quite a deep tank well. 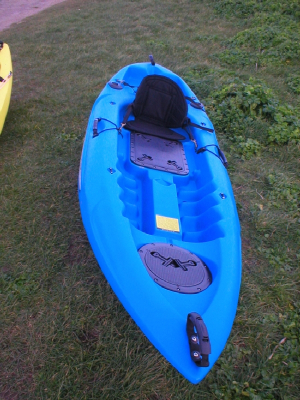 It’s a quick kayak on the water not at all sluggish as you sometimes find on the smaller kayaks and a dry ride. 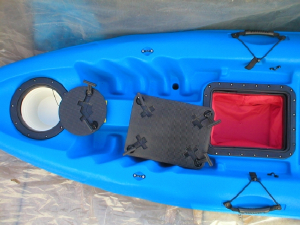 The fittings are good and easy to reach while out on the water no water came in through the hatches at all.